Varathron Reveal New Song "Tenebrous"
Greek black metal pioneers VARATHRON have revealed a new track titled "Tenebrous". 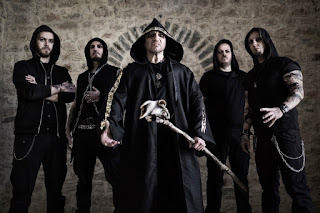 The song comes from the band's upcoming album "Patriarchs Of Evil", set to be released on April 27th 2018 via Agonia Records. Listen to "Tenebrous" at: https://youtu.be/1zY1qTbEiXs.